Wearin’ of the Green! 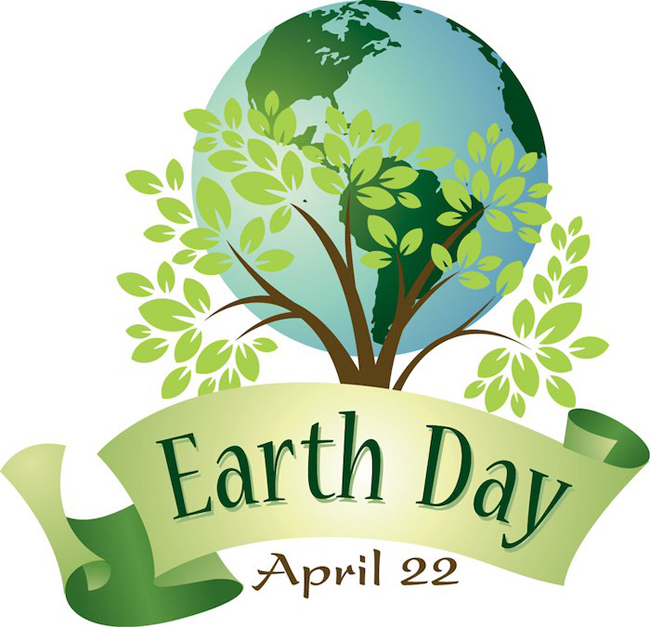 It’s the theme for St. Patrick’s Day, March 17th, but is also a good theme for Earth Day, April 22. As Kermit the Frog said, “It’s not easy being green.” But we can try! 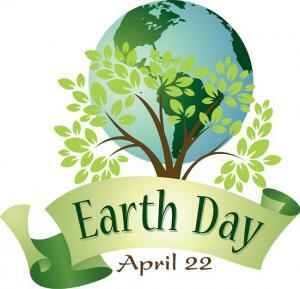 The first Earth Day celebration on April 22, 1970 took place at two thousand colleges and universities, roughly ten thousand primary and secondary schools, and hundreds of communities across the United States. Approximately 20 million young Americans demonstrated for a healthy, sustainable environment. Groups that had been fighting against oil spills and other forms of pollution, the loss of wilderness, and extinction of species united with common shared values: that our survival depends upon taking care of the planet that sustains us. Out of that movement came the Clean Air Act, Clean Water Act, and Safe Drinking Water Act – all bipartisan legislation. Sixteen-year-old Greta Thunberg kicked off the movement last summer in Sweden, gaining global attention when she delivered a powerful speech at the United Nations climate summit in December 2018. Founder of the Youth Strike for Climate movement, Thunberg was nominated for the Nobel Peace Prize on March 14, 2019. In this Earth month issue we focus attention on what we know about and how we care for our natural environment. After all, if we do not have a habitable planet, nothing else is possible. Nature’s free ecosystems services provide us with all the essentials we need: air, water, soil, food, recycling of nutrients, shelter, and energy. How we take care of our “assets” determines our health and quality of life – and sustainability for generations to come. So what are we, the public, going to do to make our environment sustainable for generations to come? There are plenty of ways we can lighten our “environmental footprint,” and save money and be more healthful by doing it. First, as WMC-TV5’s Andy Wise used to say with the restaurant reports: “Clean Up!” Everywhere I drive I see plenty of trash by the side of the road, which eventually ends up in one of several great garbage masses in the ocean. Don’t litter! And use your best persuasive powers to discourage others from littering. Second, analyze your own garbage to itemize how much waste you generate. You may be surprised at how much of that waste is packaging that you purchase at the grocery store or other stores. So in purchasing items that have a lot of packaging, you’re paying for something you will throw away, and then have to pay a company to pick it up and take it to the dump. You’re paying for trash twice! Third, limit the amount of one-use, “throw-away” items that you utilize. Challenge yourself and your family to decrease your amount of waste. Which brings us to plastic. Plastic pollution is a global problem – on land, in oceans, and even in our food. “The overwhelming amount and mass of marine plastic debris is made of microscopic range fragmented plastic debris that cannot be scooped out of the ocean….All sea creatures, from the largest to the microscopic organisms, are, at one point or another, swallowing seawater ‘soup’ instilled with toxic chemicals from plastic decomposition. The world population “… (is) eating fish that have eaten other fish, which have eaten toxin-saturated plastics. 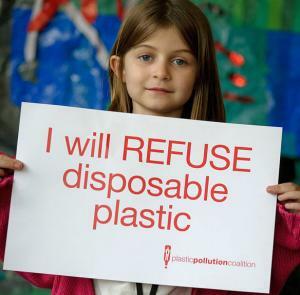 In essence, humans are eating their own waste.” Read more of this detailed report on plastic at: http://plastic-pollution.org/. What can you do? Reduce your acceptance of disposable plastic, e.g., grocery store plastic bags – use your own reusable bags. Can you drink without a plastic straw? Sure! Choose packaging that is recyclable or biodegradable, e.g., cardboard. Fifth, compost and rebuild soil. Did you know that composted horse manure is one of the best soil enhancers? It’s “black gold” for your garden and your landscape, and you’ll get amazing plant growth and soil water retention from its nutrients and humus. Just ask Kentucky Equine Research. Seventh, decrease your energy use. How many appliances in your home are drawing electricity even when you’re not using them? A home energy audit will show you many ways you can cut your costs of electricity and other energy uses. Do you turn off lights when you leave a room? What kind of fuel mileage does your automobile get? Total how much gasoline costs you per month and see how much money you could save through a fuel-efficient auto, less driving, and more biking and walking. You’ll get healthier, too! Do you let your car sit and idle while you use your cell phone? If you do, you’re increasing air pollution and burning money (see fuel costs above). Decrease your water use. Your utility bill probably shows how much water you use over a month. Try decreasing the amount you use and see how your next bill is lower. Once you start saving energy and reducing your waste, you’ll find those measures translated into money savings. And your life becomes easier and healthier. Then you’ll see – it’s easier being green than you thought!